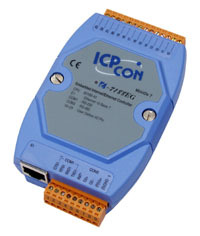 I-7188EG | Embedded Ethernet Controller, Programmable in ISaGRAF IEC-1131 Development Suite with 40 Mhz CPU. MiniOS7 Operating System. Supports operating temperatures between -25 to 75°C (-13F ~ 167F). Embedded Ethernet Controller, Programmable in ISaGRAF IEC-1131 Development Suite with 40 Mhz CPU. MiniOS7 Operating System. Supports operating temperatures between -25 to 75°C (-13F ~ 167F). Max. Mbus_xxx Function Block amount for 2 ports: 64. 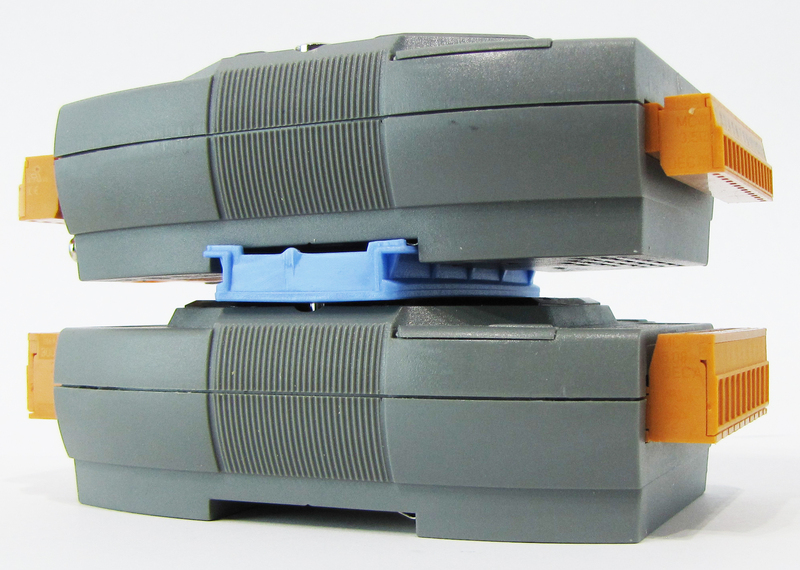 Protocol Up to 2 COM Ports: COM1, one of COM2 or COM3 (*). 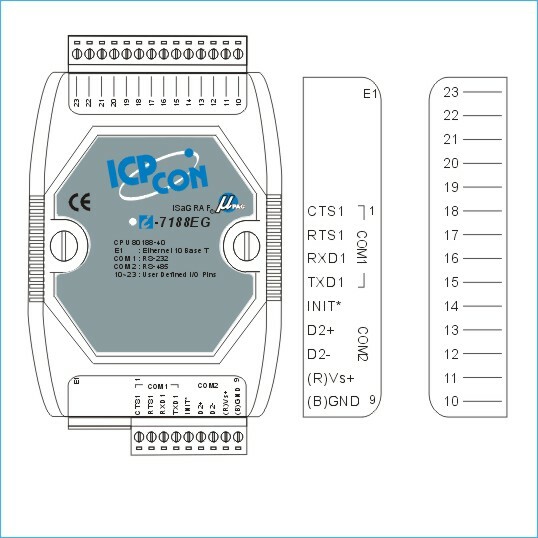 User-defined Protocol User can write his own protocol applied at COM1, COM2 & COM3 ~ COM8 (*) by serial communication function blocks. Remote I/O One of COM2 or COM3: RS-485 (*) supports I-7K, I-87K I/O modules as Remote I/O. 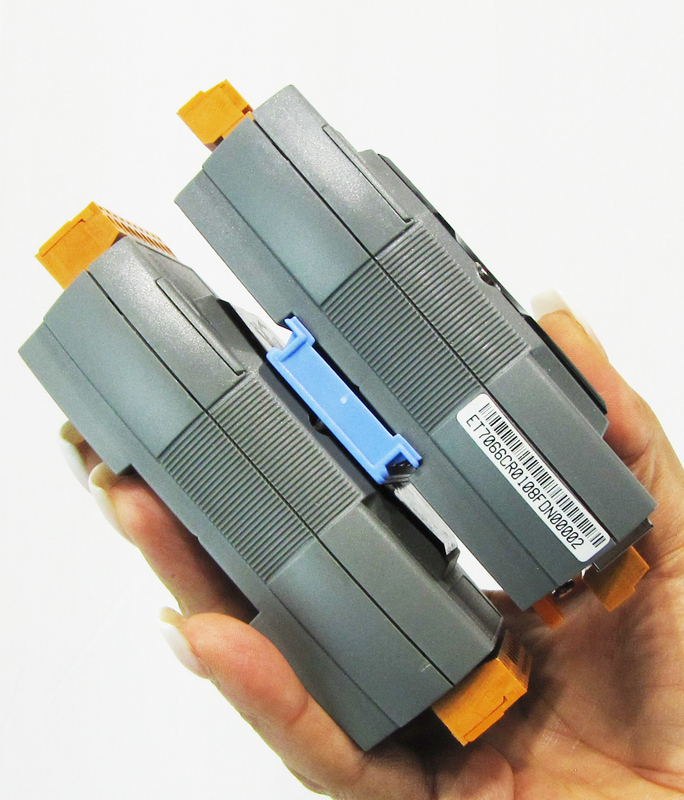 I-87K series must plug on RU-87Pn (High profile) or I-87K (Low profile) I/O Unit. Max. 64 I/O modules for one PAC. Short Message Service One COM port (one of COM1 or COM3 or COM4) (*) can link to a GSM modem to support SMS. User can request data/control the controller by cellular phone. The controller can also send data & alarms to user's cellular phone. 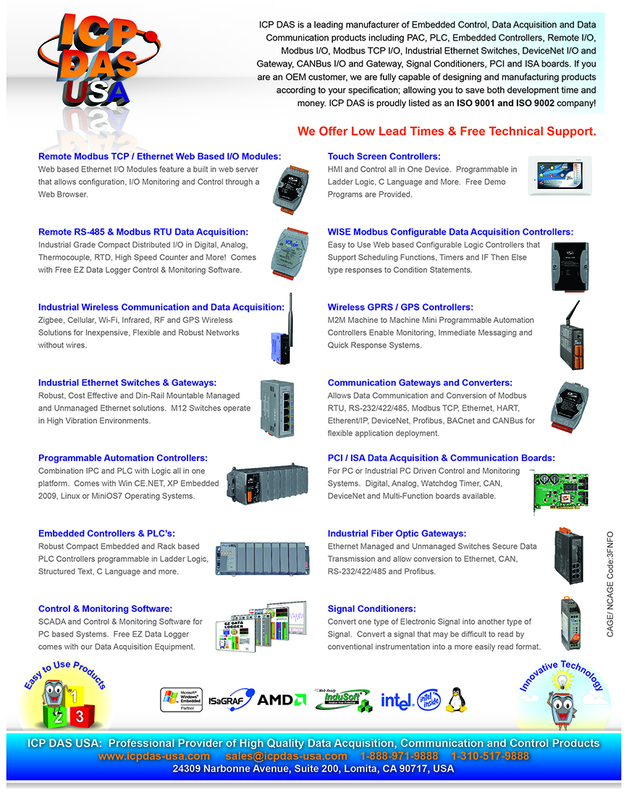 MMICON/LCD The COM3: RS-232 (*)supports ICP DAS's MMICON. The MMICON is featured with a 240 x 64 dot LCD and a 4 x 4 Keyboard. User can use it to display picture, string, integer, float, and input a character, string, integer and float. Pulse Width Modulation Output All X-board series DO boards support PWM output. 8-ch max. for one controller. *Note: COM3 ~ COM8 are resided at the optional X-board series if it is plugged inside the I-7188EG(D). * Recommend to use NS-205/NS-208 Industrial Ethernet Switch.